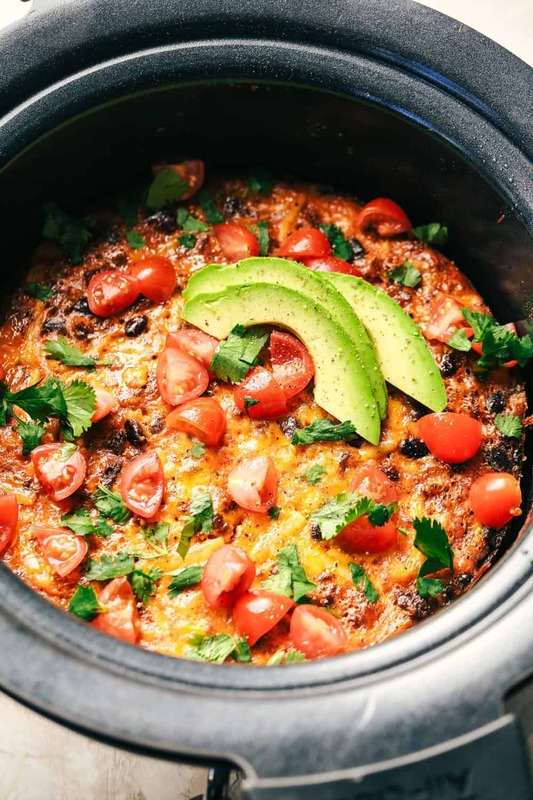 Slow Cooker Mexican Chorizo Egg Casserole is so quick and easy to put together and packed with big flavor! 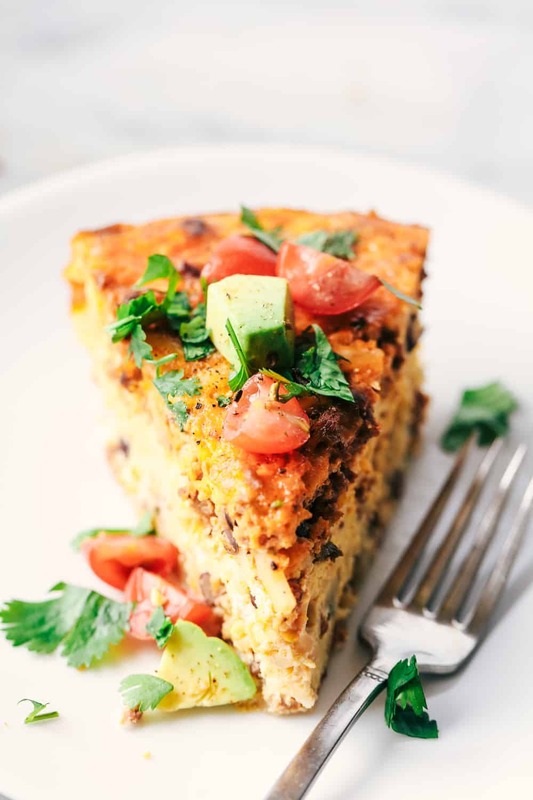 Hashbrowns, cheese, and eggs get loaded up with black beans, corn, and chorizo to make one delicious breakfast! Have you made a breakfast in your slow cooker yet? If you haven’t, the holidays are the perfect time to start! There is nothing better than a delicious breakfast for the holidays. And with guests over at your house this season, it is the perfect way to welcome them. I was so incredibly excited when McCormick released their new line of Slow Cooker Breakfast Seasoning Mixes! If there is anyone that I love and trust to add awesome flavor to the dish I am creating, it is McCormick. I chose to use the Slow Cooker Mexican Egg Casserole Seasoning Mix for this recipe. We love Mexican flavors at our house and it was especially delicious topped with chopped tomato, avocado, and cilantro! This recipe couldn’t be easier to make. You start by browning the chorizo. Then, you throw in the potatoes, corn, and black beans, and chorizo into the slow cooker. Whisk some eggs, add the seasoning packet and cheese, pour in the slow cooker and you are good to go! 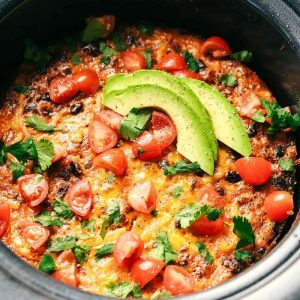 Can I add eggs to the slow cooker? Yes, you definitely can! Just whisk the eggs and pour them on top of the hash brown mixture. Make sure they cook through and are set and spring back when touched. This breakfast turned out incredible and is jam-packed with so many delicious breakfast foods and flavors. It is perfect for feeding a crowd and requires little effort to make! I don’t know about you guys but with the holidays I am all about little effort. Throw some ingredients in a slow cooker and let it do its thang while I can try to enjoy the holidays with the people I love. 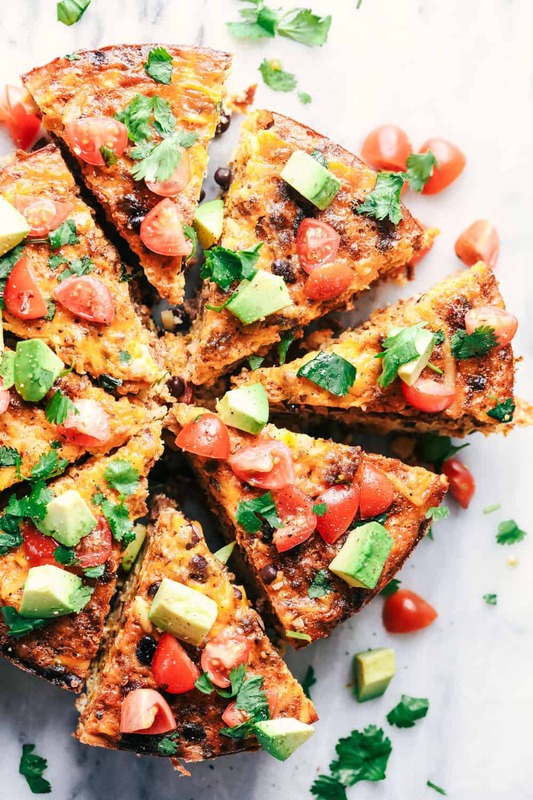 Top this off with your favorite toppings, avocado, sour cream, salsa, cilantro, and tomatoes and you have the perfect breakfast. This will become a new family favorite! 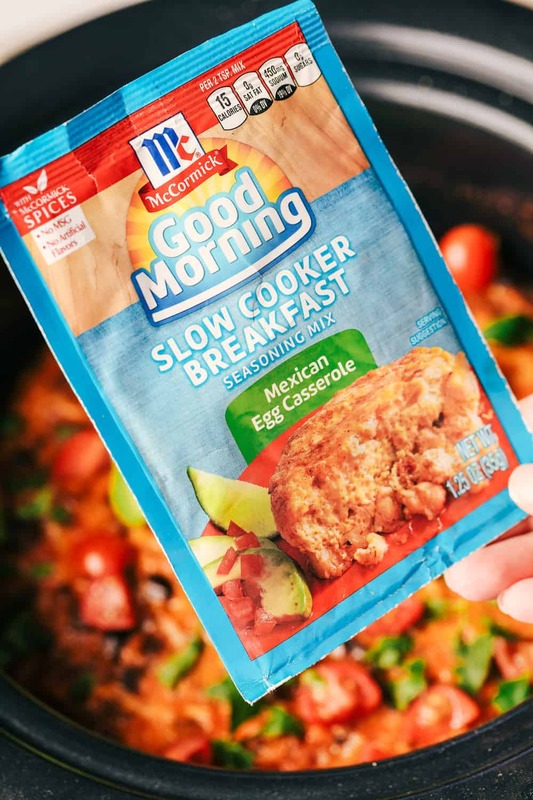 For more delicious breakfast recipe ideas like Mexican Breakfast Burrito, Slow Cooker Monkey Bread , Slow Cooker Breakfast Tot Casserole, visit McCormick.com! In a medium-sized skillet over medium-high heat, add the chorizo sausage and cook until no longer pink in the center. Spray a 4-quart slow cooker with cooking spray and add chorizo, hash browns, corn and black beans and mix. In a medium-sized bowl add the whisk the eggs, milk and breakfast seasoning packet. Add in 1 cup of the cheese. Pour on top of hashbrowns in the slow cooker. Top with ½ cheese. Cook 2½ hours on high or 4 to 4½ hours on low or until eggs are set. Top with additional toppings and enjoy! But as for me, I am TOTALLY looking forward to trying this, although I’m not terribly keen on waking 4 hours early to prep this dish then go back to bed and try to get back to sleep then wake up again in time to eat. Although the idea of awaking to the smells of the melding aroma’s of the chorizo and the other ingredients IS quite compelling. And served with a warm flour tortilla or a couple of smaller warmed corn tortilla’s is making my mouth water as I type this. YUM!! Can this be made the night before, removed from the crock pot (hopefully intact like your picture shows!! ), then heated in either the microwave (yuck!) or warmed in the oven (Best!) and served with the tortilla’s? It’s just that I don’t think I could rise at my “normal” time, make everything, toss them into the crock pot then suffer through 2.5 to 4 hours before being able to chow down on this!! One does NOT invite a handful of (former) Army Guys over the night before to sit around a campfire on my property, reminiscing about the good old days and tossing down some brewski’s till the wee hours and expect them to wait s couple of hours to chow down! HAH! Most of us are used to standing in some Chow Hall line, stuffing who-knows-what on a stainless steel tray, then (if we are lucky) sit down with a BIG mug of STOUT, Black, Coffee, then shoveling the contents of our trays into our mouths and chewing it on our way out the door (and usually running off to some perceived “Crisis! !”) or off to some grinding training or mundane equipment cleaning or repairs. In short (? ), can this be made ahead of time and easily re-heated for breakfast? Sorry for the long post but THANK YOU for the GREAT cooking ideas! can you double or triple this for a large group and have it come out the same?